Pyracantha coccinea (Scarlet firethorn) is an evergreen shrub with bright red berries (family Rosaceae). It is commonly found in disturbed sites, along roadsides, and in coastal scrub, prairie, and riparian areas. 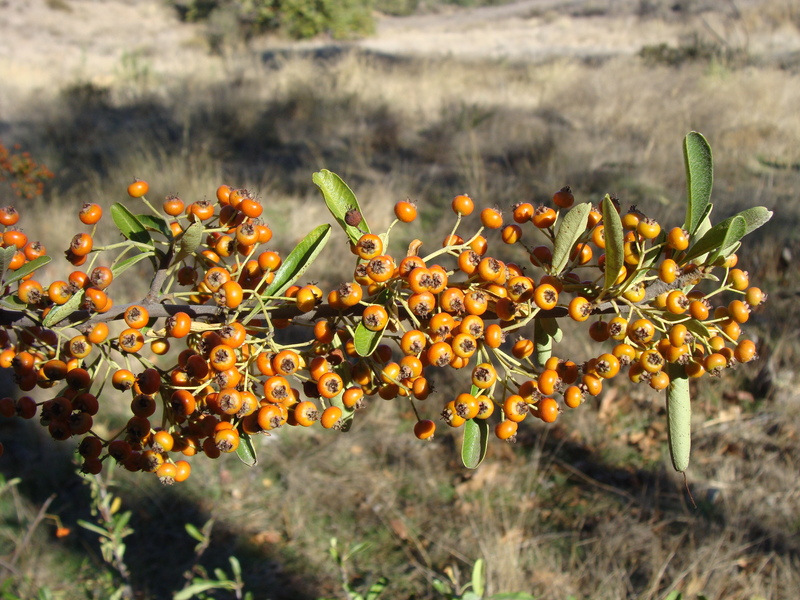 Pyracantha species, which have bright red berries and green foliage, are a common ornamental plant that have escaped cultivation. The fruits of pyracantha are widely dispersed by birds, which may also nest in the bushes. However, successful new introductions are rare, especially in areas that do not provide the ideal cool, moist climate for pyracantha.